Pharmakeyboard_arrow_rightIsoTech Lab - In-House Isolator Research & Development Laboratory. Impact of the load in the development of VPHP cycles in an isolated line: analysis of a real case (Part 2). IsoTech Lab - In-House Isolator Research & Development Laboratory. 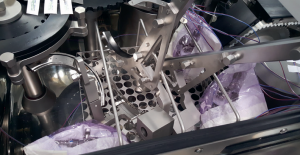 In the previous part of the article (Impact of the load in the development of VPHP cycles in an isolated line: analysis of a real case – Part 1), we have described the case: an IMA isolated, aseptic filling line installed at the production site of a multinational pharmaceutical company and subjected to the bio-decontamination cycle with VPHP. The aim of current study is to emphasize the importance of the definition of the load as a critical part of the validation process and how it potentially influences the outcome of the validation. To this purpose, in present Part 2 we will get through the cycle development results obtained in the previous Part 1 of the article and suggest different solutions to develop and validate a reproducible biodecontamination cycle with VPHP applied to an IMA isolated line. For further theoretical details on this methodology, see the technical article by A. Benassi and G. Cecere “The decontamination cycle with vaporised hydrogen peroxide (VPHP) in isolated filling lines: aspects of development, validation and criticality” – Part. 1 and Part. 2 at https://ima.it/pharma/case-studies/. The whole article was also published in the ASCCA news no. 2/2017. The application of the statistical approach, using three biological indicators in the same location, enabled us to immediately exclude from the possible causes of bacterial growth, the presence of rogues i.e. of isolated and sporadic biological indicators that have uncharacteristic increased resistance to the peroxide. These biological indicators can present growth, regardless of the duration and characteristics of the decontamination cycle applied, and as such are not useful for the characterisation and validation of a decontamination cycle. Furthermore, if a single biological indicator were used, a seemingly conforming 40-minute cycle could have been achieved even in location 52BC, leading to inconsistent results (growth at 55 minutes and not at 40 minutes). The attention therefore focused on the load in location 52BC, as the growths occurred solely at that point in several consecutive cycles out of all the challenge locations identified. The load in location 52BC was made up of five large bags of paper and plastic material containing parts of the nitrogen circuit from the autoclave (figure 6). Therefore, the composition of the bags and the number of pieces was deemed the most probable cause of the bacterial growth at that point. 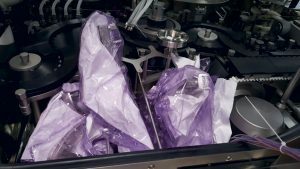 Figure 6: five bags to be used for autoclave sterilisation of machine parts from the nitrogen circuit were placed on the bottom of the isolator in an AISI container. To confirm the above, a cycle was repeated with a 40-minute decontamination with chemical and biological indicators in the 79 previously established locations, with the difference that in location 52BC the largest machine parts were taken out of the bags, leaving only three bags, for customer requirements, containing 0.2 μm air filters and the relative connections, as shown in figure 7. Figure 7: Three pieces of the nitrogen circuit were left in the basket. The other two were inserted without the bags. • Validation of the 70-minute decontamination cycle. • Movement of the load parts analysed to other zones in the line to prevent a build-up in a single zone. • Creation of smaller autoclave bags, closer to the size of the pieces. • Elimination of the nitrogen parts, as they are part of a further machine configuration. Of the four solutions, it was established with the customer that the machine parts relating to the nitrogen treatment line would be eliminated, since they belong to a configuration of the filling line that would be managed with a further validation. Theload was then replaced with a single autoclave bag containing one machine part. Table 1 shows the results of the four cycles and the new photograph of the validated location 52BC. Table 1: results of the three cycles run at different decontamination times. The shortest cycle was not run in order to be able to run an analysis of the results. Next issue (part 2) will focus on the analysis of the root cause. The shortest cycle, with 25-minute decontamination cycle, showed growth again in location 52BC despite the reduction in the quantity of load and the presence of a single autoclave bag containing one machine part, demonstrating that the paper and plastic material in the bags needs longer to decontaminate. Note how simply removing some of the bags enabled the cycle duration to be reduced from 70 to 40 minutes decontamination. Given the difficulty for the customer’s production to further modify the load and the acceptable duration of the cycle, the decision was made to validate the 40-minute decontamination cycle. The 40-minute decontamination cycle was then repeated three times during the performance qualification, showing the reproducibility of the parameters and the requested biological effectiveness. At the end of the validation, it was confirmed that the impact of the load and, in particular, the material in the load is a variable in the VPHP decontamination process that should be considered as critical. In the practical case analysed, the excessive presence of an unsuitable material lengthened the validation activities, due to more cycles having to be carried out, and led to a longer decontamination cycle duration overall. Indeed, in the absence of this material, it would have been possible to validate a shorter decontamination time and optimise a decontamination cycle within the production process time as a whole. This study also confirmed how important it is to use several biological indicators at each identified challenge location, in order to be able to apply statistical analysis when biological growth occurs and correctly assess any local behaviours. To reiterate the importance of chemical indicators as a back-up to biological ones, but not as a replacement, the significant change in colour cannot in itself be significant for the purposes of assessing the conformity of a cycle: as occurred in this case, for example, there may be cases in which the colour changes correctly but growth occurs on a biological indicator.